Can I just say it was 109 degrees outside today? I'm aware that it's summer, but this is a little extreme. It was time to cool down with something that tastes a little summery. What's more summery than lemon? 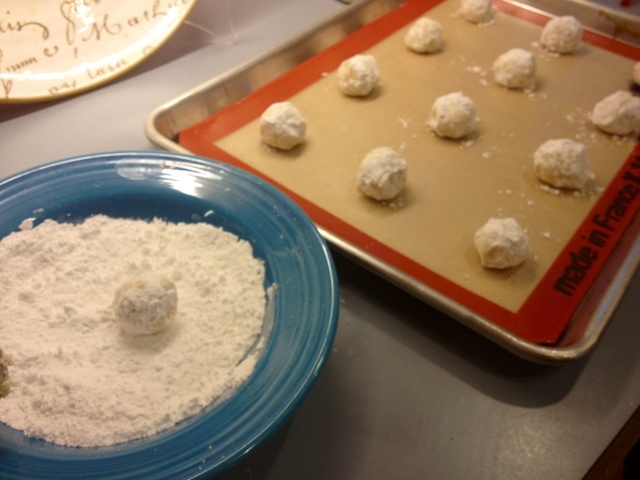 I decided to make lemon crinkle cookies because they're a close cousin to my favorite cookie, the gooey butter cookie. A warning to any who would dare to make these: they're addictive. 1. Preheat oven to 350 degrees. Line baking sheets with silpat or parchment paper. 2. 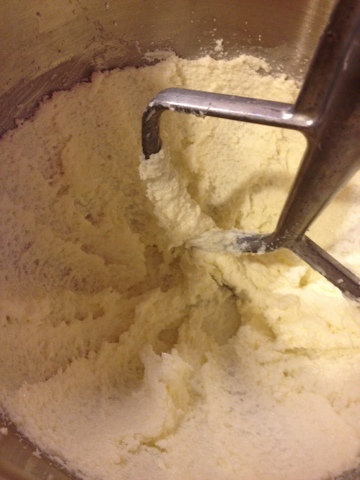 Cream butter and sugar together until light and fluffy. Add egg, lemon juice, and vanilla. Beat for about 30 more seconds. 3. 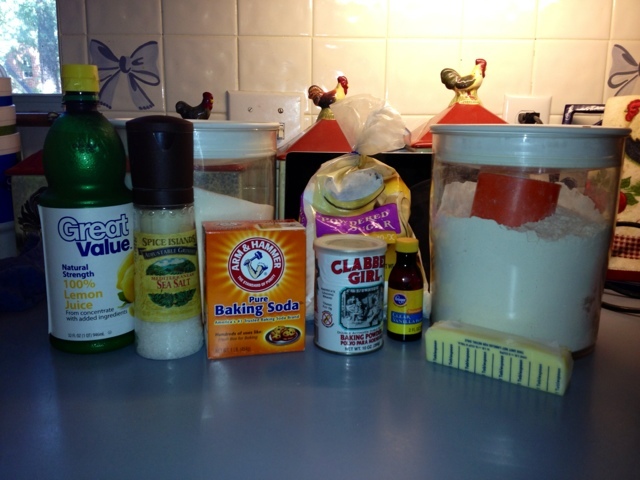 Add dry ingredients and mix until just combined. 4. Place powdered sugar in a shallow bowl. 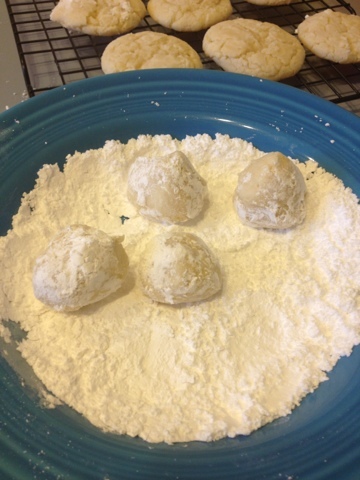 Scoop cookies, about 1 tablespoon each, and roll them in the powdered sugar. 5. 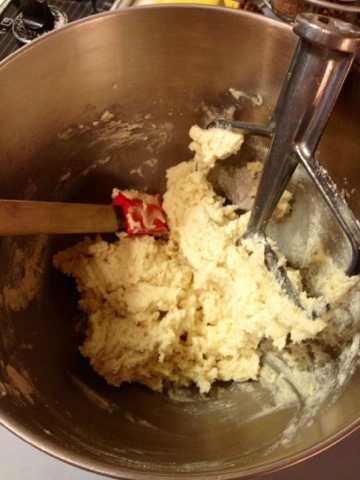 Bake cookies for 10-11 minutes, or until no longer shiny on top. Let them sit for a minute or two before transferring them to a cooling rack. 6. Eat one. Repeat this step until they are all gone. They're good with milk or lemonade. Enjoy!